Around 4:30 p.m. on Dec. 19, 2017, Chinese dissident writer Li Xuewen, 40, was approached and arrested by two plainclothes police officers at the Guangzhou railway station, just as he was exiting the metro there. Li was told on the spot that he was on the wanted list of China’s Ministry of Public Security for “gathering a crowd to disrupt social order.” Li was then taken into custody and sent to the Xinhui detention center. According to a statement later released by Li’s lawyer, Ge Yongxi, Li was questioned repeatedly for his participation in a seaside memorial held on July 19, 2017, in Xinhui, an urban district that, like the metropolis Guangzhou, is in southeastern China’s Guangdong Province. The memorial sought to commemorate Nobel Peace Prize laureate Liu Xiaobo, who died on July 13 due to a prolonged illness he had developed in prison. Participants in the memorial were later targeted by the Chinese regime and all were heavily prosecuted, as the regime sees any commemoration of activists like Liu Xiaobo as an act of political dissent. In his lawyer’s statement, Li suspects that he was identified at the metro station by facial recognition cameras installed by Guangzhou authorities. If true, this would be one of the first incidents in which the Chinese regime has caught a political dissident using facial recognition technology. 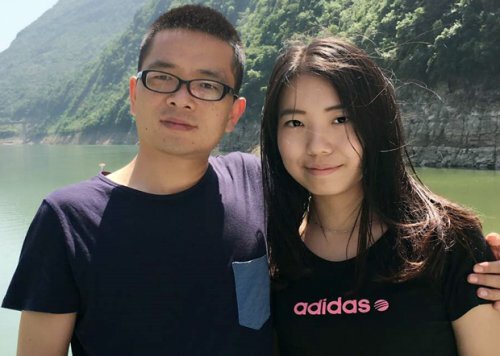 The arrest of Li Xuewen seems to confirm predictions that the regime is bringing an ‘Orwellian nightmare’ and ‘digitized totalitarianism’ to China. While Li’s claim about the role of the facial recognition system in his arrest cannot be independently verified, it is likely that some form of tracking technology was indeed used, considering that the arrest took place at an exit of the Guangzhou metro station. Unlike China’s high-speed rail, which requires riders to purchase a ticket with a national identification card that can then be tracked by security, the Guangzhou metro system still relies on an anonymous fare card system called Yang Cheng Tong, which would not normally betray the identity of its user to the authorities. Li likely thought that he could remain anonymous while passing through the turnstiles at the metro. In recent years, however, Guangzhou has become one of the cities that has spearheaded the Chinese regime’s move to impose ever-more intrusive mass surveillance on the daily lives of the Chinese people. 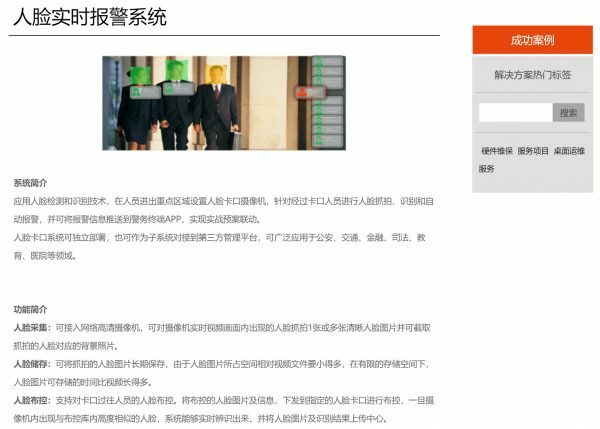 Screenshot of the website of PCI-Suntek Technology, a company that has been supplying facial recognition and other mass surveillance systems to Guangzhou and other Chinese cities. The website boasted that its system saves a “digital print” of all the captured faces for use in later identification, even those that are not currently wanted by the authorities. As early as 2015, the state mouthpiece Xinhua News Agency reported that facial recognition cameras have been installed across the sprawling Guangzhou metro station are to help policing and “counter-terrorism” operations. Another Xinhua story reported that the facial recognition system used in Guangzhou is supplied by PCI-Suntek Technology Co. Ltd., a Guangzhou-based company that has been heavily funded by the Guangzhou city government. In 2015, the system could “identify five individuals in one second,” the Xinhua report boasted. Once a match with the “wanted” database has been identified, the system will automatically alert nearby police through notifications to their mobile phones. While the Xinhua report said that the system will “only” check the captured facial data against the existing wanted criminal database, PCI-Suntek Technology’s official website says that it also saves a “digital print” of all the images of faces captured by the system for use in later identification. Because of this, the system could theoretically monitor the travel patterns of all the people it had ever scanned, even those who are not listed in the criminal database. According to its corporate report for the first half of 2017, PCI-Suntek Technology has already installed this facial recognition system across the metro and train systems of 17 cities in China including Guangzhou, Qingdao, Tianjin, Xiamen, Wuhan, and Ningbo. The report also boasted of a “great opportunity” to be had in Xinjiang under the One Belt, One Road initiative, alluding to the possibility that the company will provide a facial recognition system for the Chinese regime to spy on the Uyghur ethnic minority there. The Chinese regime has become the world’s biggest market for mass surveillance tools as it seeks to harvest the power of new technology to deepen its control over China’s population of 1.4 billion. The arrest of Li seems to confirm predictions that the regime is bringing an “Orwellian nightmare” and “digitized totalitarianism” to China.